Just a little detour from the family friendly activities. Here we will introduce you to the bars in Hurley, WI you can have some fun at. Nightlife in Hurley, WI starts with Silver Street. This 5 block stretch is steeped in history...especially during the prohibition days when Al Capone and John Dillinger sought the solitude of the area. 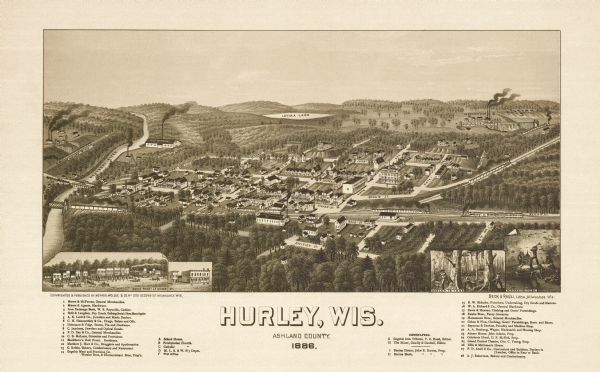 More importantly, Hurley is as lively today as it was 130 years ago (the entertainment capital for the hardworking loggers and miners)! Ummm...if you have found this page, we all have an idea of what you are looking for. Since this area is still under construction, I will simply tell you that there are lots of bars in Hurley. Some of them are for the guys (and adventurous girls) and many more for just about everyone else! Ok...here is a quick list of bars that I got from the Hurley Chamber of Commerce and is not a definitive list (I think these are just the bars that paid the Chamber of Commerce money to be listed). Stay tuned for more information and in-depth reviews.